The ideas behind email marketing are fairly simple. You are either attempting to acquire new customers or increase the value of existing customers. It’s when you begin to optimize your email campaigns that the complexity becomes apparent. Last week, we discussed email marketing ideas that increase open rates, and this week we’ll take an in-depth look at ways to increase your email click rates. Let the User Lead – The most effective strategy for increasing email click rates is to align your messages with the customer journey. While this sounds like a simple marketing idea, its execution requires an in-depth understanding of your visitors’ shopping behavior. Align your email send time with the time of day the consumer last visited your site. Align your message content with the stage of the conversion funnel that was abandoned. Align the time between emails with the typical time between site visits. Shoppers all exhibit different behavior and the same email strategy simply won’t work for everyone. The ability to dispatch different messages to each user is what makes email marketing ideal for recovering conversions. Increase relevance by making emails genuinely relevant and you’ll experience a significant increase in clicks. Relevant Imagery – Related to staying in-step with users, be prepared to power your emails with imagery based on user behavior. Past purchases, products left in an abandoned shopping cart, categories browsed a few weeks after making a purchase–users are constantly telling you what they want just by visiting your site. 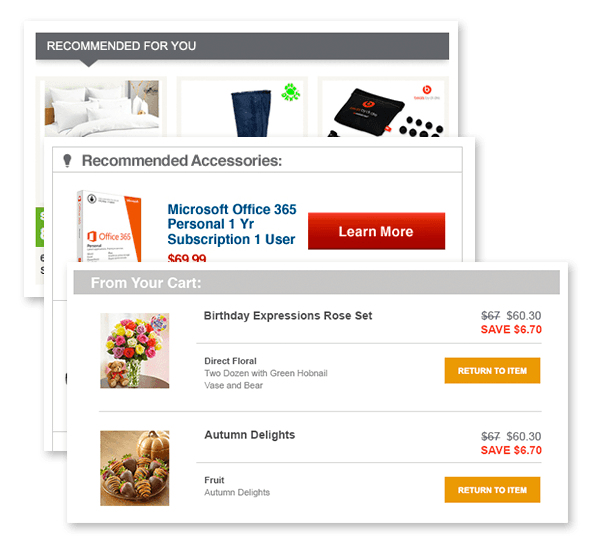 Use these behavioral cues to select the perfect products to showcase in each message to boost message relevance. Test against your readers’ need for logical conclusion and put the closure of an “open loop” behind a click. Your email can still be informative, well-designed, and full of value, just with an added twist of mystery. P.S. – Just like snail-mail, postscripts are a little addendum to your message, and they can be extremely powerful tool. Our minds have a tendency to remember final sentences most clearly, making these “last words” very impactful. It also helps that a postscript stands out structurally, making it unmissable among skimmers. Put an urgent, clear, and enticing call-to-action in your postscript and see how many clicks it can generate. 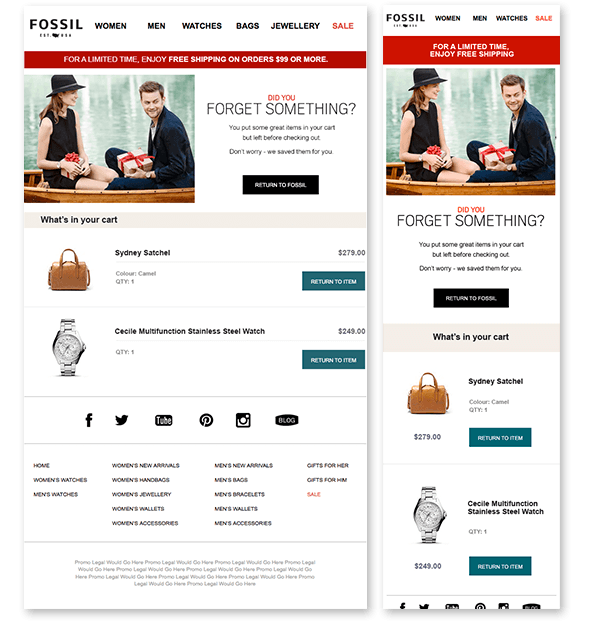 No blog entry about ecommerce is complete without reminding you that designing for mobile is a great email marketing idea. Creating designs that adapt to the display resolution of the reader’s device (also known as Responsive Design) is the best way to get a single message to fit thousands of readers’ unique needs. Putting responsive design to work in your email marketing campaigns isn’t just a nice thing to do for smartphone users. According to GetResponse, 42% of subscribers delete emails that don’t display correctly on mobile phones. Getting on-board with the responsive design trend is simply a smart email marketing idea. Deleted emails won’t lead to clicks or conversions. You can’t discuss boosting email click rates without talking about calls-to-action (CTAs). By definition, a CTA is the element in your email specifically designed to get users to click–to take action. 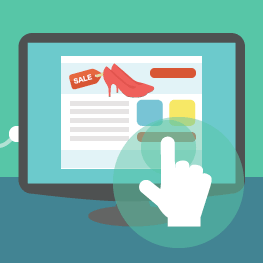 In general, there are two types of CTA: buttons and in-line hyperlinks. So, what is it exactly that makes for a successful, heavily-clicked CTA? Use Actionable Language – No matter the context, your CTA needs to instruct users. Tell readers what to do with actionable, verb-heavy language. Tell users to ‘click,’ ‘get,’ or ‘redeem,’ giving them a direct course of action to take. Create Intrigue – Just like your messaging strategy, creating a little intrigue is always a great idea. Market with heavy-handed hints instead of telling someone explicitly why they’re clicking your link. Here’s where you want to put interest-building words to work–try ‘exclusive,’ ‘unusual,’ ‘rare,’ and other attractors. These work especially well with button CTAs. To attract attention, your CTAs should contrast in color from the rest of your design. This isn’t to say that your buttons should be blindingly neon against an otherwise muted design, but it should stand distinctly apart. Some marketers will swear by the effectiveness of color psychology. While research has shown that certain behaviors are associated with different hues, it’s also been suggested that these behaviors vary between cultures. We don’t recommend that you ignore the psychology of colors, but we like make decisions from a design standpoint first, using psychology second. How many CTAs should you place and where should you put them? While there’s no single solution for the infinite number of possible email designs, there’s a general guideline. Saturate without over-saturating. You want to give your readers a browsing avenue at all times without splitting their attention. If your email is long enough, place a button at the beginning, middle, and end of your message. If you can comfortable see the end of your message from the beginning, omit that middle button. How do you know if you’ve struck the proper balance? Simple. Look at the email you’re about to send and squint. Through your fuzzy vision, pay attention to where your eyes move. If your attention moves naturally from one CTA to the next without getting derailed along the way, you’ve got the right idea. Of course, the best click rate optimization comes with repeated testing, but these suggestions are a great place to start. For more information on UpSellit’s email marketing and remarketing solutions a, contact UpSellit! If you’re interested in learn more, please browse our articles filled with email marketing ideas.